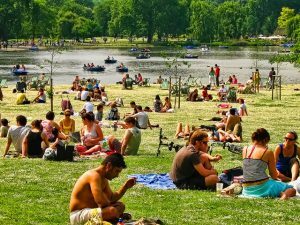 New research from a collaboration between CPDN, the University of Bristol and UK health professionals has produced compelling evidence that loss of life through increased heat stress during heatwaves can be limited if we stabilise climate at the lower of the Paris Agreement climate goals. The paper, recently published in the journal Nature Climate Change, demonstrates that, all else being equal, mortality due to high temperatures could be significantly reduced (15-22 per cent per summer) in London and Paris if we stabilise climate at the lower of the Paris Climate Goals, 1.5°C, as compared with the higher temperature goal. In London, currently around 10 per cent of summers are free of any heat-related mortality, but this research has shown that under potential future climate change virtually all summers will have some heat-related mortality. Researchers from Bristol who lead the HAPPI project (Half a degree Additional warming, Prognosis and Projected Impacts Model Intercomparison Project) simulated future climate under climate goals consistent with the 1.5°C and 2°C global warming Paris Agreement climate goals. The project utilised researchers and citizen scientists from around the world to help run the experiments, via the climateprediction.net project. Dr Dann Mitchell, lead author of the study, and a lecturer in climate physics at the University of Bristol, said “Our results show a clear increase in heat-related mortality which can be avoided by adhering to the Paris Agreement goals. 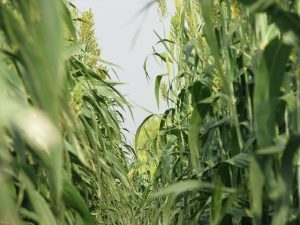 “Together with the recent publication of a wealth of evidence presented for climate drivers of other impact sectors (such as the crop sector), it is becoming increasingly clear as to how crucial these climate goals are. ‘Extreme heat-related mortality avoided under Paris Agreement goals’ by D. Mitchell, C. Heaviside, N. Schaller, M. Allen, K. Ebi, E. Fischer, A. Gasparrini, L. Harrington, V. Kharin, H. Shiogama, J. Sillmann, S. Sippel and S. Vardoulakis in Nature Climate Change. A meeting dinner at Chang Mai Kitchen (Trip advisor restaurant review available here) will take place on the evening of the 25th July at attendees own expense. 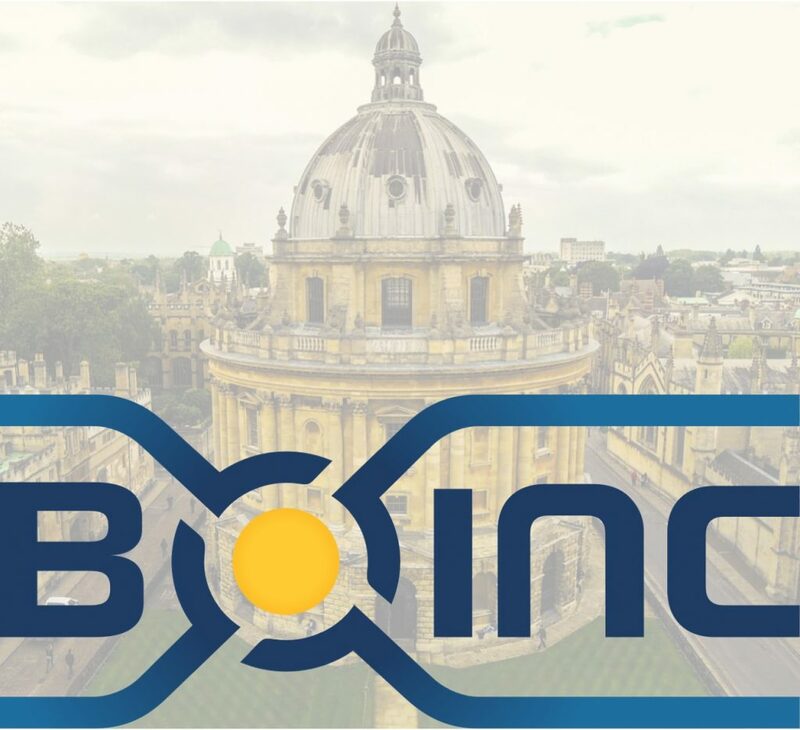 Bringing the community with free discussion and debate on working together for the betterment of BOINC. Oxford e-Research Centre, Department of Engineering Science, University of Oxford, 7 Keble Road, Oxford, OX1 3QG. A new paper co-authored by climateprediction.net team members shows changes such as bioenergy expansion have considerable influence on projections of temperature extremes. The motivation for the Intergovernmental Panel on Climate Change Special Report of 1.5°C stems from the need to understand how the impacts of climate change may evolve for half a degree of global warming. Most low-emission scenarios involve substantial land-use change (LUC) including the expansion of bioenergy and food crops, as well as afforestation. The impacts of land use and land management for food production and forestry have been shown to have considerable influence on local and regional climate, particularly for climate extremes. Future emission scenarios used as input to climate models are derived using integrated assessment models, and focus on greenhouse gas emissions. However, changes in land use also have a direct effect on local climate through the local water and energy balances, which is not considered in these models, and therefore, our understanding on how dependent these climate projections are to the choice of land-use scenario is limited. This study demonstrates that the land-use scenario has a considerable influence on the projections of temperature extremes for low-emission scenarios. In particular, for large land areas in the Northern Hemisphere, more than 20% of the change in temperature extremes can be attributed to LUC. However, our study also reveals that considerable uncertainty remains on what the feedbacks of land use may mean for land-based mitigation activities. 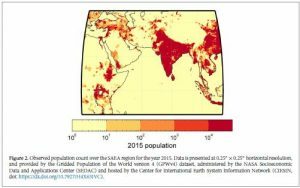 Climateprediction.net’s Professor David Wallom and Dr Sarah Sparrow are visiting Dhaka, Bangladesh, this March for a stakeholder workshop around the REBuILD project (Risk Evaluation of Brahmaputra Inundations for Loss and Damage). During this stakeholder workshop, participants will share their opinions and insights on how extreme event risk assessments could be further developed for comprehensive risk management, aiding Bangladesh policymakers in developing appropriate adaptation strategies for achieving Sustainable Development Goals. Bangladesh is listed as one of the countries most vulnerable to climate change. It has one of the largest population densities in the world, resulting in high pressure on land and water resources. When an extreme weather event such as flooding occurs, millions of people are displaced and both freshwater supply and agricultural production are affected. Understanding the impact of anthropogenic climate change and developing services to support government programmes such as the “Loss and Damage in Vulnerable Countries Initiative” within the country would be greatly beneficial. The REBuILD project is a pilot study funded under the Global Challenges Research Fund (GCRF) involving a collaboration of researchers from the University of Oxford and Institute of Water and Flood Management (IWFM) of Bangladesh University of Engineering and Technology (BUET). Using the unique computing infrastructure of climateprediction.net (CPDN), quantitative risk assessments are being carried out of the potential impacts of the Brahmaputra flooding during summer 2017. Professor Wallom will open the workshop with an introduction to the climateprediction.net programme and its relevance to the REBuILD project. Dr Sparrow will present a case study of the analysis of the 2017 floods along with Khaled Mohammed of IWFM, who has been visiting the University to collaborate with Oxford researchers on the project over the past couple of months. There will also be interactive sessions for all participants on the Brahmaputra Floods policy decisions and Exploring drivers and best practice in dealing with floods. Extreme weather events such as droughts and heavy precipitation can have large impacts on society and the economy, so ensuring that society is well prepared to face such events will have multiple benefits. Anthropogenic climate change is expected to have an impact on these types of events: warm temperature extremes and heavy precipitation extremes have been shown to have increased due to human greenhouse gas emissions and these are projected to increase in the future (IPCC, 2013). Properly assessing the associated impacts and uncertainties is critical for adequate adaptation, however, the application of risk-based approaches often requires large sets of extreme events, which are not commonly available. A new paper co-authored by climateprediction.net researchers presents just such a large set of hydro-meteorological time series for recent past and future conditions for the United Kingdom based on weather@home2, a modelling framework consisting of a global climate model driven by observed or projected sea surface temperature and sea ice which is downscaled to 25 km over the European domain by a regional climate model. Future projections show small precipitation increases in winter but large decreases in summer on average, leading to an overall drying, consistent with the most recent UK Climate Projections (UKCP09) but larger in magnitude than the latter. Both drought and high-precipitation events are projected to increase in frequency and intensity in most regions, highlighting the need for appropriate adaptation measures. Overall, the presented dataset is a useful tool for assessing the risk associated with drought and more generally with hydro-meteorological extremes in the UK. Climateprediction.net’s Dr Friederike Otto will be talking on extreme event attribution at the AAAS Annual Meeting (American Association for the Advancement of Science) in Austin, Texas, this February. Her talk – Extreme Event Attribution: Towards an Inventory of the Climate Change Impacts – on Sunday 18th February, is part of the Understanding Causality to Inform Decision-Making Under Uncertainty session, in the Climate and the Environment Track. The theme for the Annual Meeting 2018 is Advancing Science: Discovery to Application, which aims to explore what new avenues for interaction between basic and applied research might be investigated, and how we can encourage broader participation from every sector and demographic to meet today’s needs and in the future. In the Understanding Causality session speakers will discuss how extreme events can be attributed to climate change; how causality can be detected within the complex dynamics of ecosystems; and how the strength of causal inference can be quantified; addressing both the strengths and limitations of these emerging methods. Dr Otto will explore how, with advances in attribution, an inventory of the impacts of overall climate change could now be possible, building on attribution studies of individual extreme events. Follow the event (Feb 15-19) on Twitter @AAASmeetings and Dr Otto @FrediOtto. A new report by the Energy and Climate Intelligence Unit (ECIU) presents the findings of their analysis of all research papers published since the Paris summit two years ago on the attribution of specific events to climate change. Of 59 papers, the report says, 41 conclude that climate change has increased the risks of a given type of extreme weather event. The events analysed in these studies include extreme heat, drought, flooding and wildfire outbreaks, and concern every continent except Antarctica, spanning 32 individual events for which the risks have increased due to climate change, with other studies focusing on the long-term trend for increasing risks. Some detect an increase in frequency, others an increase in intensity or duration, and/or link a particular impact to climate change. Only four papers concluded that climate change has decreased the risk of particular extreme events. The proportional increase in risk generated by climate change across the various events ranges from single-digit percentages to 330-fold. 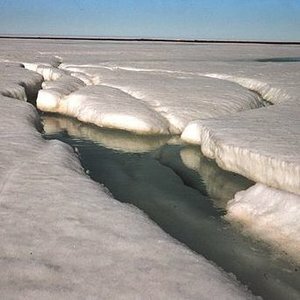 Commenting on this report, Dr Friederike Otto, deputy director of the Environmental Change Institute and lead scientist for World Weather Attribution and Transition Into The Anthropocene (TITAN), said, “We’re now finding that for many kinds of extreme weather event, especially heatwaves and extreme rainfall, we can be quite confident about the effect of climate change,” she said. 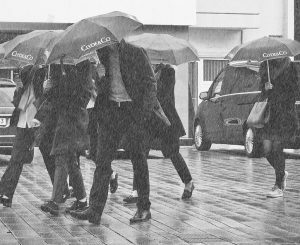 Read the full ECIU report, Heavy Weather. 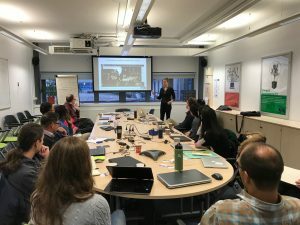 Climateprediction.net‘s Dr Friederike Otto presented on climate attribution science to Chinese and Brazilian early career researchers today, as part of a week-long workshop for the LOTUS project being hosted by the Oxford e-Research Centre. The project is exploring why the climate in China is changing and what the implications could be for the country’s vulnerability to extremes such as drought. Early career researchers from environmental research and monitoring institutions in China and Brazil have joined project participants Professor David Wallom and Dr Sarah Sparrow from the Oxford e-Research Centre, the University of Edinburgh’s Professor Simon Tett (LOTUS lead PI) and other researchers from UK institutions for the workshop. The three-year LOTUS (Long Term Undulations versus secular change in Chinese Climate) project is funded by the Newton Fund through the Climate Science for Services Partnership (CSSP China) led in the UK by the Met Office. CSSP China is a scientific research programme supported by the BEIS UK-China Research Innovation Partnership Fund that will help build the basis for services to support climate and weather resilient economic development and social welfare. • Climate services, developed in partnership, based on the climate science research & development programme. As well as the presentation from Dr Otto, a series of breakout groups during the workshop will study two extreme events, one in China and one in Brazil, and attribute the occurrence of these to climate change. The output of the workshop for early career researchers is to bring forward the next group of climate scientists who will have knowledge of this cutting edge area of research and its applications for societally relevant problems. A recent article in Environment and Energy News explores how the science of attributing the effects of climate change to individual extreme weather events has developed over the last 15 years. The predominant view in the scientific community in 2003 was that, while it was evident that climate change had a significant event on the weather, it was impossible to attribute a particular event to past emissions of greenhouse gases. But Professor Myles Allen, Principal Investigator of climateprediction.net, was convinced it would become possible in the future. In May 2004, he, Oxford colleague Daithi Stone and Peter Stott of the Met Office co-authored a report  which, E&E News claims, is now widely regarded as the world’s first extreme event attribution study. The paper examines the contribution of climate change to the European heatwave of 2003, which caused thousands of deaths across the continent and concludes that “it seems likely that past human influence has more than doubled the risk of European mean summer temperatures as hot as 2003”. This breakthrough paper took existing science a little further, comparing real-world climate change simulations with scenarios with no human-induced climate change. The key to attribution of an individual event is in posing the right question – not whether climate change caused the event, but whether and by how much it increased the chances of it happening at all. Extreme event attribution is not only possible now, but is one of the most rapidly expanding subfields of climate science, with a new paper published almost weekly. Two main approaches have emerged – those looking at the probability of an extreme event occurring, and those looking at the components that cause the events, and how changes to the climate system may affect them. Dr Friederike Otto, who leads the World Weather Attribution project for climateprediction.net, attributes the recent surge to the progression of technology — specifically, the improvement of climate models. “Extremes are, by definition, rare,” she told E&E News. The development and improvement of climate ensembles — large groups of slightly different climate models — such as those carried out by climateprediction.net volunteers, have improved scientists’ ability to simulate weather events under different conditions. The probability approach to event attribution also helps to identify the types of events that might become more common in the future, and where they may occur. In future, the article suggests, climate attribution studies could apportion blame for extreme events caused by greenhouse gas emissions, and even provide evidence in cases against governments or private companies for failing to protect property or infrastructure against extreme weather. 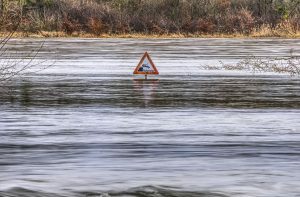 In 2014, scientists from a number of different institutions including Myles Allen, Friederike Otto, William Ingram, Karsten Haustein and Sarah Sparrow at the University of Oxford, carried out an attribution study on the southern England winter floods of that year , which caused in the region of £451 million insured losses. This was the first attribution study following anthropogenic changes in atmospheric composition, through a meteorological extreme event and its hydrological impacts to an estimate of the value of those impacts in terms of flood damages. The world’s largest Earth and space science meeting – the AGU Fall Meeting – took place in New Orleans, Louisiana, from 11-15 December. Post-doctoral Research Associate Dr Sihan Li (Meredith) attended the meeting to give several presentations on behalf of the climateprediction.net project. Her presentation Changing frequency of flooding in Bangladesh: Is the wettest place on Earth getting wetter? (Karsten Haustein, Peter Uhe, Ruksana Rimi, Akm Saiful Islam, Friederike Otto) in the session entitled ‘Improving Our Mechanistic Understanding of the Regional Climate Response to Anthropogenic Aerosols’, presented results from an analysis of extreme precipitation that led to the Bangladesh floods in summer 2016 (see also the REBuILD project). Human influence on the Asian monsoon is exerted by two counteracting forces, anthropogenic warming due to the influence of increasing Greenhouse Gas (GHG) emissions, and radiative cooling due to increased amounts of anthropogenic aerosols. GHG emissions tend to intensify the water cycle and increase monsoon precipitation, whereas aerosols are considered to have the opposite effect. In reality we are essentially committed to more rainfall extremes already as aerosol pollution will eventually be reduced regardless of future GHG emissions. Therefore it is crucial to assess the risk related to removing anthropogenic aerosols from the current world as opposed to standard experiments that use projected climate scenarios. In the Session on ‘Novel Methods for Combing Physical Simulation, Machine Learning, and Data-Driven Analysis in Climate Studies and Geophysical Sciences’, Dr Li presented Using Perturbed Physics Ensembles and Machine Learning to Select Parameters for Reducing Regional Biases in a Global Climate Model (Sihan Li, David E Rupp, Linnia Hawkins, Philip Mote, Doug J McNeall, Sarah Sparrow, David Wallom, Richard Betts). The study investigates the potential to reduce known summer hot/dry biases over Pacific Northwest in the UK Met Office’s atmospheric model (HadAM3P) by simultaneously varying multiple model parameters. Results illustrate the potential of using machine learning to train cheap and fast statistical emulators of climate models. Finally, Changing Drought Risk In a Warming World- using event attribution methods to explore changing likelihoods of drought in east Africa in the past, present and future (Sarah O’Keefe, Sihan Li, Friederike Otto) in the session ‘Climate Extremes: Patterns, Mechanisms, and Attribution’, estimated current and future changes in the probability of drought in different East African regions, making use of the HAPPI project in which large ensembles of atmosphere-only models are run under historic, 1.5 and 2 degrees C conditions (Mitchell et al, 2017). East Africa is particularly vulnerable to potential impacts of anthropogenic climate change, due to the particular climatic forces at play in the region and the population’s dependence on rain fed agriculture. However large natural inter-annual variability in the region has made the detection and attribution of anthropogenic forcing a challenge. The large ensemble multi-model framework in the HAPPI design allows for a more robust estimation of extremes than ever before. New research shows human-induced climate change increased the amount and intensity of Hurricane Harvey’s extreme rainfall. The new findings are published in Environmental Research Letters and were presented in a press conference on 13 December at the 2017 American Geophysical Union Fall meeting. caused particularly extreme rainfall over Houston and the surrounding area. This resulted in extensive flooding with over 80 fatalities and significant economic costs. 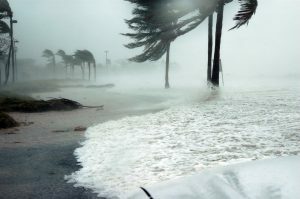 The study by World Weather Attribution researchers  examined the observed rainfall record in the Gulf coast region since 1880, showing that the intensity of such rainfall has increased significantly. Climate models confirmed the trend is mainly due to anthropogenic climate change. Overall, the study says, the chances of a rainfall event as intense as Harvey have roughly tripled (between 1.5 and 5 times more likely) since the 1900s, and the intensity of such events has increased by between 8% and 19%. Karin van der Wiel, a postdoctoral researcher at the Royal Netherlands Meteorological Institute in the Netherlands presented the research at the AGU press conference. Climateprediction.net’s Dr Friederike Otto, Karsten Haustein and Sihan Li are co-authors, along with researchers from Delft University of Technology, Rice University, Red Cross Red Crescent Climate Centre, Princeton University and Climate Central. The analysis makes clear that extreme rainfall events along the Gulf Coast are on the rise. Information regarding the increasing risk of extreme rainfall events in general could be critical to the discussion about future improvements to Houston’s flood protection system. Dr Friederike Otto says, “We’re now finding that for many kinds of extreme weather event, especially heatwaves and extreme rainfall, we can be quite confident about the effect of climate change. 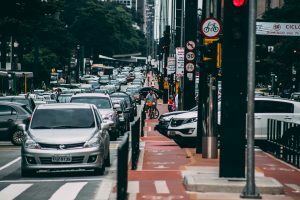 Whether policymakers are looking at local issues such as flood protection or involved in the global climate change negotiations, the more information they have about climate change impacts now and in the future, the better decisions they’re able to make”. 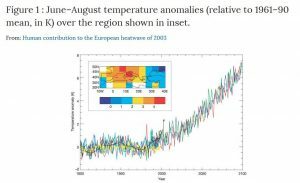 A new index of warming due to human influence on climate was released this week in the journal Nature Scientific Reports. It exceeded 1°C above mid-19th-century levels in 2017 and is rising faster than ever before, leaving little time to achieve the goals of the Paris Climate Agreement. “Global temperatures may be pushed up temporarily by El Niño events or down by volcanic eruptions. We combine temperature observations with measurements of drivers of climate change to provide an up-to-date estimate of the contribution of human influence to global warming“, explains climateprediction.net team member Karsten Haustein, who led the study. The level of human-induced warming reached 1.02°C above the average for 1850-79 in November 2017 (with a 5-95% uncertainty range of 0.88-1.22°C) based on HadCRUT4 temperature dataset from the UK Met Office, or 1.08°C when estimated using a version of HadCRUT4 (Cowtan/Way) that interpolates over poorly-sampled regions like the Arctic. Using the index in conjunction with carbon budget estimates based on current emissions, the remaining time until we cross the (anthropogenic) warming target of 1.5°C or 2°C can be monitored continuously as well on www.climateclock.net. The paper is freely available online at www.nature.com/articles/s41598-017-14828-5. These results were presented to delegates of the UNFCCC COP23 at a side-event “Measuring progress towards Paris Agreement goals: aligning science and policy” on 13 November. Read a guest post by Karsten Haustein on this paper. A new paper by Dr Friederike Otto, Professor Myles Allen et al describes how scientific advances make it possible to assign extreme events to human-induced climate change and historical emissions from individual countries. These developments could allow losses and damage associated with such events to be assigned country-level responsibility. Assigning historical responsibility is of relevance not only for financial interests, but also for climate justice. Methodological developments in the science have increased robustness and confidence in event attribution, and it is now possible to say with high confidence that the likelihood of occurrence of individual classes of extreme weather events has increased due to anthropogenic climate change for some classes of extreme events (e.g. heatwaves, extreme rainfall). The paper, published recently in Nature Climate Change, goes a step further to highlight the potential of assigning individual countries’ greenhouse gas and aerosol emissions to specific extreme weather events. The study looks at the summer 2013–2014 heatwave in Argentina as an example, during which large parts of the country witnessed the highest temperatures on record. This particular heatwave was chosen on the basis that previous studies (involving CPDN simulations) reveal anthropogenic influences made the event five times (400%) more likely. Dr Otto’s study builds on previous work on assigning historic emissions to individual countries and explores two different statistical methods to combine this research with event attribution to estimate the change in the frequency of this event attributable to individual regions’ greenhouse gas emissions. 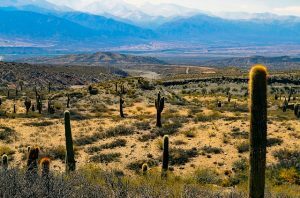 The researchers found that EU28 emissions made the Argentinian heatwave 19–60% more likely, out of the 400% increase in likelihood caused by total anthropogenic emissions. The paper concludes that the fact that it is possible to provide such quantifications will greatly advance the possibility of an informed discussion on whether such information is useful, necessary, and should be included in multi-national agreements. Furthermore, the possibility of assigning contributions of individual regions to damage could have the potential to reshape environmental litigation, raising questions regarding damage and responsibility in national jurisdictions, and thus climate justice. Does rapid attribution stand test of time? 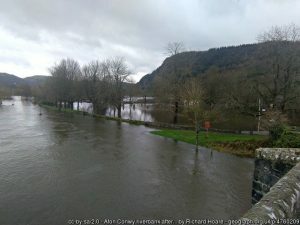 Study revisits assessment of storm “Desmond” with more data to determine whether rapid attribution stands the test of time. A recent revisit of an attribution assessment of an extreme weather event carried out in late 2015 has found results similar to the ‘real-time’ analysis just after the event. During the days immediately after an extreme weather event with large impacts, the question arises what role climate change has played in it. We can now give a first scientific assessment of the effect of climate change in a relatively short time. This updated analysis shows that the real-time estimates are robust for this kind of extreme weather event. 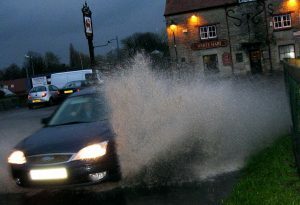 On 4-6 December 2015, the storm “Desmond” caused very heavy rainfall in northern England and southern Scotland, which led to widespread flooding. 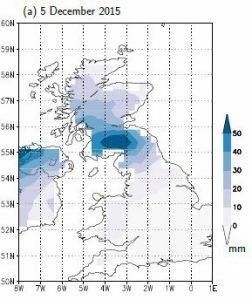 A week after the event the climateprediction.net team, together with the World Weather Attribution team, provided an initial assessment of the influence of anthropogenic climate change on the likelihood of one-day precipitation events averaged over an area encompassing northern England and southern Scotland using data and methods available immediately after the event occurred. The analysis was based on three independent methods of extreme event attribution: historical observed trends, coupled climate model simulations and a large ensemble of regional model simulations. All three methods agreed that the effect of climate change was positive, making precipitation events like this about 40% more likely, with a provisional 2.5-97.5% confidence interval of 5-80%. A new paper published this month in Environmental Research Letters revisits the assessment using more station data, an additional monthly event definition, a second global climate model and regional model simulations of winter 2015/16. The re-analysis of the real-time attribution event shows that it is possible to provide a robust first-guess quantification of the role of anthropogenic climate change in such an extreme event. The overall result of the analysis is similar to the real-time analysis with a best estimate of a 59% increase in event frequency, but a larger confidence interval that does include no change. It is important to highlight that the observational data in the additional monthly analysis does not only represent the rainfall associated with storm Desmond but also that of storms Eve and Frank occurring towards the end of the month. Hosted by environmental law firm ClientEarth and the Oxford Martin School. Drawing on a recent paper in Nature Geoscience, the event on 7 December at SCI London brings together leading scientists in probabilistic event attribution, lawyers and academics to discuss the intersection of event attribution science and the law. Dr Otto and other experts, hosted by environmental law firm ClientEarth and the University’s Oxford Martin School, will discuss the basic methodologies used in event attribution studies, the admissibility of statistical evidence in court, and the potential implications for common law claims against those with duties to protect society from foreseeable risks. Climate change will be the most disruptive and defining force of this century. After a series of extraordinary climate-related weather events around the world in 2017, those affected are asking questions about responsibility, accountability, justice and future resilience. There is growing interest in how the law and the courts will shape and be shaped by climate change and its impacts. Through event attribution studies, scientists can now identify the human influence on changes in the frequency and magnitude of extreme weather events, such as heatwaves, droughts and storms. The information these studies provide about the increased risk of certain weather events could be crucial evidence in climate change litigation. These recent scientific advances, together with increasing litigation, and the historic reliance of environmental courts on science, has created the need for a critical and early interdisciplinary dialogue between scientists and lawyers working on climate issues. The event will be recorded and screened as a webinar for those who can’t attend in person – dial in details will be provided to those with Webinar tickets closer to the event date. Climate Science and the Law Seminar, Thursday, 7 Dec 2017 at 18:00. Sign up at Eventbrite. Last Friday saw 10,000 people engaging with university researchers at the Curiosity Carnival, Oxford’s contribution to European Researchers Night, which was celebrated by hundreds of cities across the continent. The Magic Planet is a 3D globe projector which ran visualizations of climate model simulations of possible weather, including rainfall, and wind speed and direction. These climate models are used to answer questions about how climate change is affecting our world, to improve our understanding of the climate system and help manage future climate risk. Running these models takes a huge amount of computer power and time, but the world’s largest climate modelling experiment climateprediction.net speeds up the process by using the downtime on thousands of volunteers’ home computers across the planet. 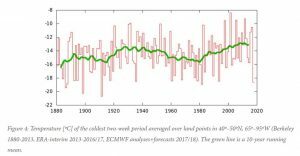 Recently the researchers found that climate change increased the chances of seeing a European summer as hot as 2017 by at least a factor of 10 and a heat wave like Lucifer by at least a factor of four. Such summer heatwaves with temperatures over 40C could become normal by 2050. Team members David Wallom, Sarah Sparrow, Friederike Otto and Sihan Li (Meredith) were on hand in one of the upper galleries of the Ashmolean Museum to explain the data being visualized on the Magic Planet 3D projector, and to appeal for more volunteers for the climate modelling programme. Visitors to the stand ranged from school children to fellow researchers writing PhDs on climate science. They were also joined by one of the climateprediction.net community’s longstanding moderators, Maureen Villar. Dozens of interested people signed up to join our volunteers from all over the world who already contribute their computer’s downtime to the world’s largest climate modelling experiment. Curiosity Carnival is Oxford’s contribution to European Researchers’ Night, a Europe-wide celebration of academic research for the public. Taking place on 29 September 2017, Curiosity Carnival will showcase the world-leading research taking place here at Oxford to a large and diverse audience through a programme that will include live experiments, debates, bite-sized talks and other activities. The Oxford e-Research Centre’s Professor David Wallom and other members of the climateprediction.net team will be at the Ashmolean Museum in Oxford exhibiting a 3D globe projector (‘Magic Planet’) which will run visualizations of active real-time climate data simulations happening around the world on climateprediction.net. Magic Planet is an educational tool which projects a digital image or animation onto a globe. It can show data in a visual form and is an eye-catching method of bringing research to life. The global reach of climateprediction.net, with simulations running on every major inhabited continent, lends itself perfectly to visualization on a globe projector. Environmental Change Institute and Oxford e-Research Centre staff will also be present to describe what the graphics are showing, and how climateprediction.net is contributing to our understanding of global climate changes and changing risks of extreme weather events, with results from recent research/simulations (that you may have contributed to! ).